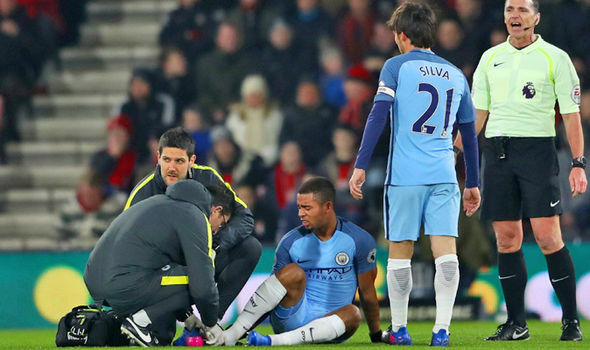 Brazilian striker Gabriel Jesus suffered a major injury just a few games into his Manchester City career. It is a major disappointment for all parties concerned considering that Jesus has had an excellent start to his life at City after managing to score 3 goals in his first two appearances. The two goals in the game against Swansea helped the team secure a much-needed 2-1 win. Signed for an extravagant € 32 million, manager Pep Guardiola would have been extremely disappointedto see such a start but to an end by a long-term injury. Jesus has suffered a horrible injury that is expected to keep him out of action for around three months. This effectively rules him out for the campaign. Brazilian national team manager Tite says that he has spoken with the 19-year-old, who is extremely disappointed with the outcome as well. Tite has been watching the player when he was coming through the ranks at Palmeiras. The striker went on to make his debut for the national team in September 2016. Since then, he has featured in six games, while returning with an astonishing five goals. The injury means that Jesus will not be able to take part in the upcoming World Cup qualifiers for the national team. "Gabriel is very frustrated, upset, I could hear it in his voice tone.With the level he reached for Palmeiras, the national team and now that he was reaching at City, it's very frustrating for a kid of 19, 20 years old," said Tite. Guardiola has been so pleased with the impact of Jesus that he even admitted that the future of striker Sergio Aguero is not in his hands. Aguero has not featured in some high profile matches this season, and there is a feeling that City would sell him in the summer.